If you’re a college student, you may not think much about your taxes, especially if your main focus isn’t solely on your earnings right now. If you’re planning on filing taxes this year and need a crash course regarding the process and what you need to know, you’re in the right place. First, if you want to file this year, you’ll need to determine your filing status. Understanding whether you’re an independent or dependent student can help with this. If you are a dependent student, it means that someone else can claim you on their taxes. You should also have to report your parent’s income while you apply for financial aid through the FAFSA. If you are independent, it means that no one can claim you on their taxes and you won’t need your parent’s income for the FAFSA. Most independent students are married and/or have at least one child who is their dependent. Dependent students might be able to file their taxes as ‘head of household’ or ‘married’ if they are married. During my first year of college, I earned way less than this amount. I remember going in to see a tax preparer to file my taxes and being told I didn’t need to file. Even though I was a parent at the time, I didn’t earn enough money to say that I could support myself and my son solely off my income, so my mom was able to claim us for the year. 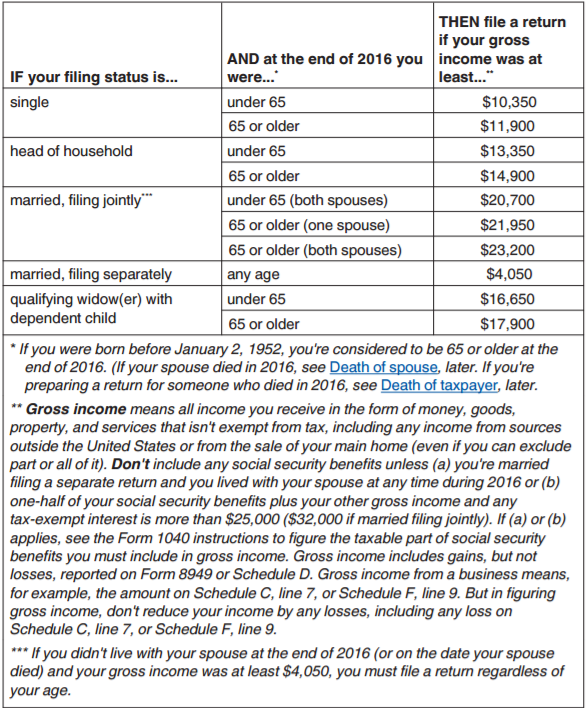 You can refer to this chart below which was taken directly from the IRS Publication 501 for exemptions, standard deductions, and filing information for more details about whether you should file depending on your filing status. Don’t forget that you can convert this pdf to word in order to get the files. College students may be able to take advantage of certain tax benefits as long as they’re enrolled in an accredited university, college, vocational school, or even adult education classes. The Lifetime Learning Credit can help you pay for undergraduate, graduate and professional degree courses, and the number of years you’ve completed in the program doesn’t apply. Eligible students may qualify for a credit up to $2,000. You’ll be glad to hear that you don’t have to pay taxes on grants or scholarships you receive while in school. Most grant or scholarship money goes directly toward your educational expenses anyway, whether it’s an athletic scholarship or an educational grant. With that being said, apply for as many grants and scholarships as you can to lower the costs of college since you won’t have to worry about any tax penalties. If you’ve already determined your filing status and are ready to file, you have a few options to consider. First, you can e-file online for a low fee. E-filing is very popular so long as you choose a secure platform like TurboTax or Efile.com. It’s also pretty easy, and considering the fact that you’re in college, your taxes shouldn’t be that complex to file. Plus, there are resources and tutorials to walk you through the process. If you don’t feel comfortable e-filing by yourself, you can always take all your documents to a tax preparation office. Well-known franchises will get the job done with no problem, but they often charge higher fees, which could eat into a tax refund you might get. You have until April 18 to file this year, so there’s still plenty of time to get organized and figure out everything you need to know. 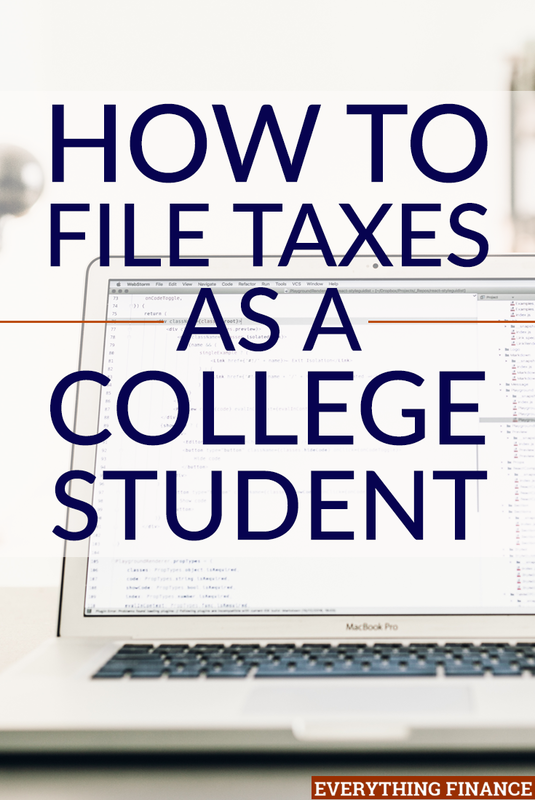 Did you file your own taxes when you were younger, or have you filed your taxes as a college student?